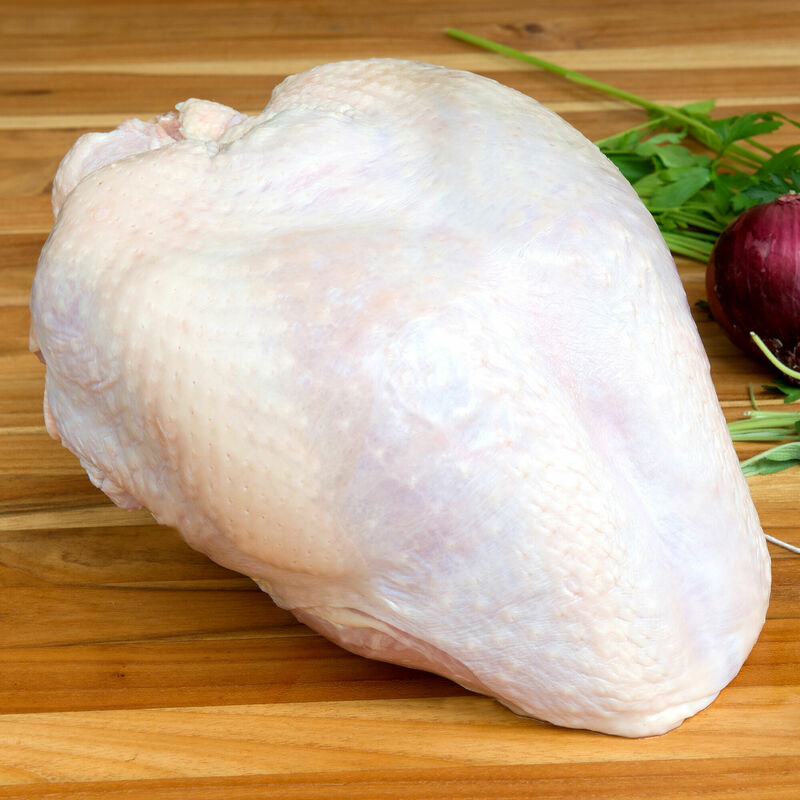 Our USDA-certified organic turkeys are raised free-range in the USA and fed a 100% organic, all vegetarian, non-GMO diet with no antibiotics or hormones. The White Broad-breasted breed turkeys are raised on small Midwestern farms with strict standards for humane treatment. This whole, bone-in turkey breast is perfect for an intimate celebration, or as a supplement to a whole turkey to ensure there's enough tender, juicy white meat to go around. The farms that raise turkeys for D'Artagnan are scrutinized for their methods, treatment of animals and handling standards. Our USDA-certified organic turkeys are humanely raised on small family farms in the Midwest, with full access to the outdoors where they get plenty of exercise, unlike factory-farmed birds. They are not pushed to grow too quickly; instead, they develop at a slower pace, growing the old-fashioned way, with respect for the natural process. The free-range turkeys are fed an all-vegetarian diet consisting of 100% organic, non-GMO grains (corn and soy) and pure spring water, with no protein supplements, added poultry or fish by-products, pesticides or herbicides. Additionally, no antibiotics, growth hormones or arsenicals are ever administered and the birds benefit from an environment that never uses artificial light. These turkeys are beyond “natural,” a term without any regulation; they are USDA-certified organic, which means they follow the strictest of guidelines.